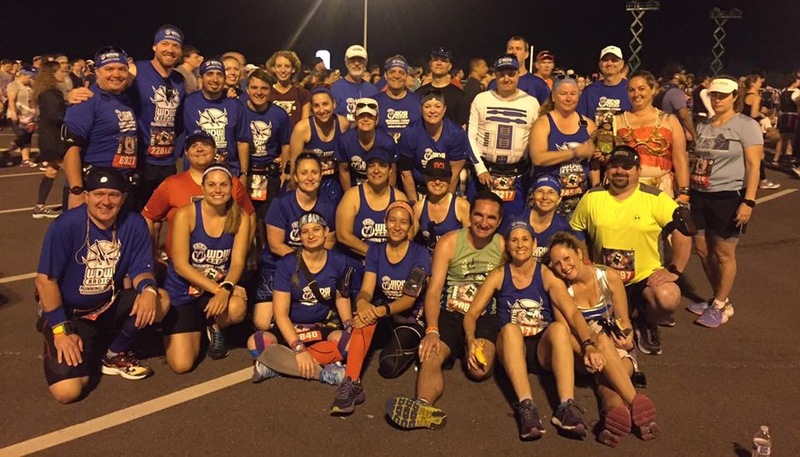 WDW RADIO RUNNING TEAM This team has over 500 members from all over the world. All skill levels, ages and experience are welcome. You’ll likely find, and can run with, someone that is exactly like you. This group is highly social with a facebook page, meet-ups and park time gatherings. JEFF GALLOWAY PACE GROUP These are more loosely affiliated in that you run with people that have the same time goal as you. They don’t have the social aspect, but it’s a good way to meet others on the course. 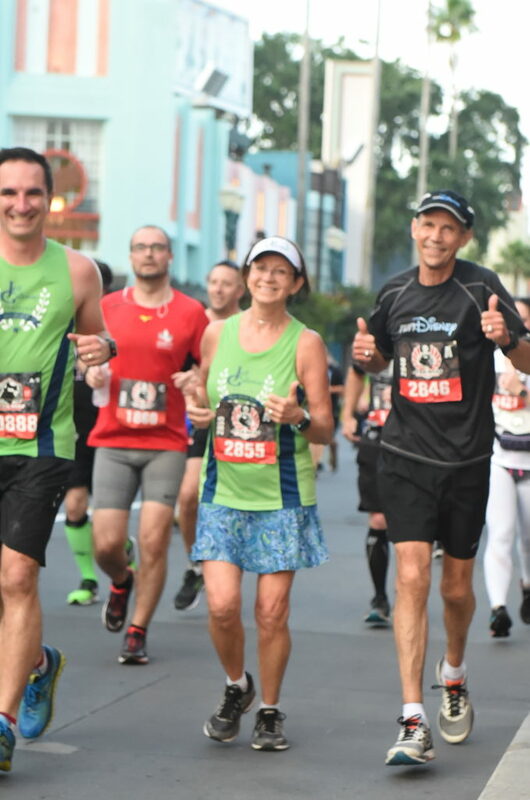 This is a run walk group and the benefits of doing a race this way are plentiful. You can sign up for these groups for free by signing up at Jeff’s table at the expo. You can also jump in to a group if you see them out on the course. I got there super early again. They were busing people from the end to the start so you just never know if there is going to be a logistical glitch. Transportation went off without a hitch and we got some more characters. Rub Jabbas belly for good luck! We still had quite a bit of time left so many of us sprawled out on the parking lot as the time passed. You had to get up earlier than usual for these races because of the shuttle situation. It was finally race time and everyone parted ways. It’s always a bittersweet moment. I’m ready to go to the corral, but I know I’m going to miss my team in the months between races. They did a great job getting everyone out in a timely manner and went all out on the fireworks for each start. I link up with Jeff and Barb and we start doing our thing. A lot of people normally stop us for pics with Jeff, but we did a 5K without being stopped once. I realized later that it was because the course was so dark and they couldn’t see him. 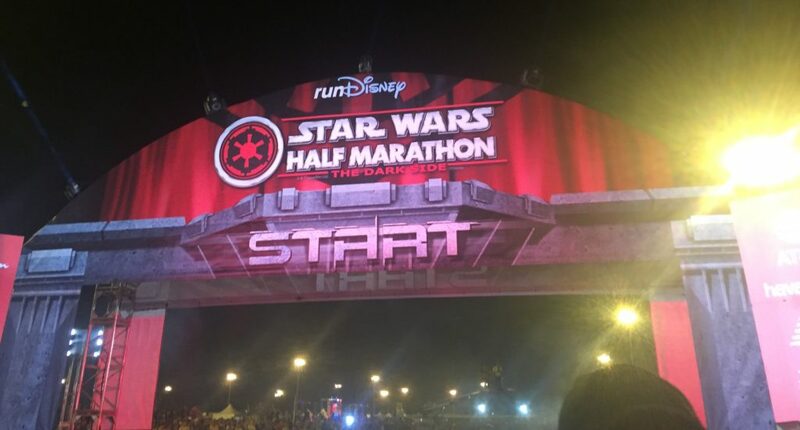 It definitely paid off to bring a lightsaber with you on the front part of the course. 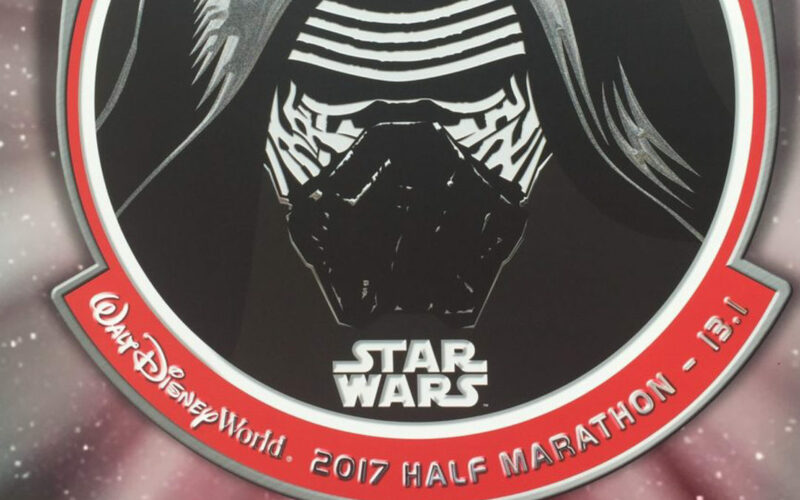 RunDisney did use the darkness to their advantage. On one of the stretches they set up a simulated battle on Endor with lasers, sound effects, fire plumes and smoke. It was really impressive use of the environment. At the end of the battle were the Ewoks, alive and well, for photos. They did miss out on another environment opportunity. 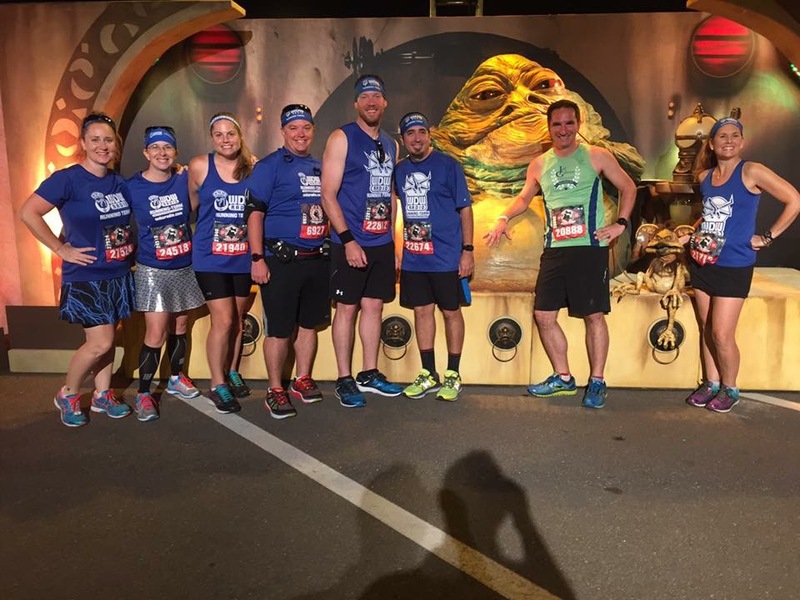 They had a trash compacter photo op on the course. It would have worked perfectly right in the middle of the water treatment plant. I mean you might as well embrace it! 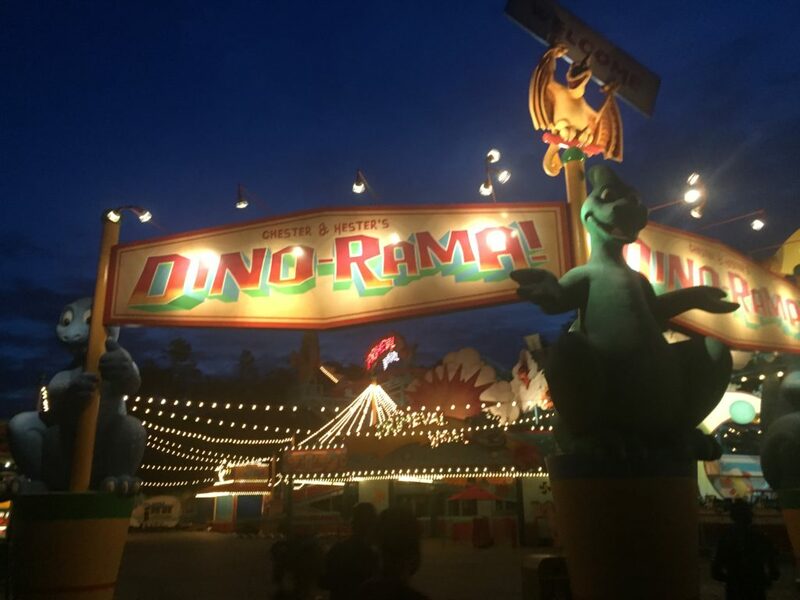 Animal Kingdom was beautiful as the sun came up, although I forgot to get pictures until the end. The London Marathon was also this day, so we took a moment to send some encouraging words over to them. 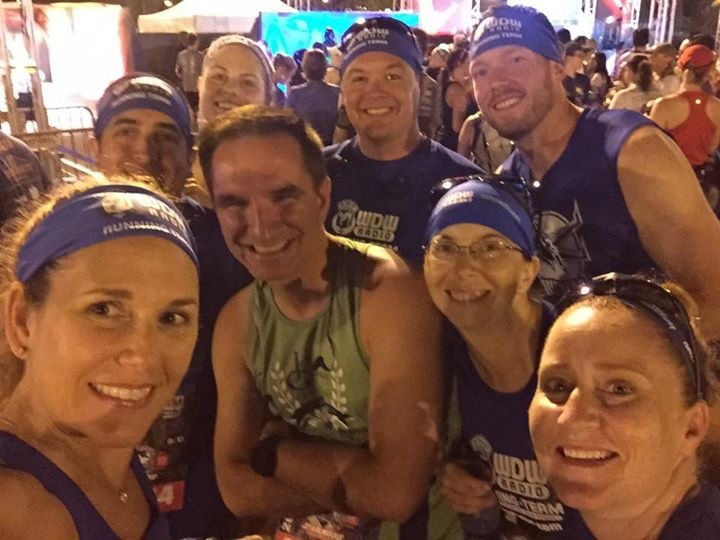 I thought it was really neat that we are connected through our team and can run races (And encourage each other) at the same time across the world. This is what your photos look like when your phone is covered in sweat. It was really hot….like really really hot. My sweat was sweating kind of hot. At this point the sun was out good and we were running right at it. I had to stop at the medical station just to get some paper towels to wipe ourselves down. People were now recognizing Jeff so he was having fun letting us get ahead and then catching back up to us. We were also cheering on the Galloway pacers as they came through. I believe two groups caught us before we made it to Hollywood Studios. What do you do when Jeff is making a pit stop? Do a character stop, of course! 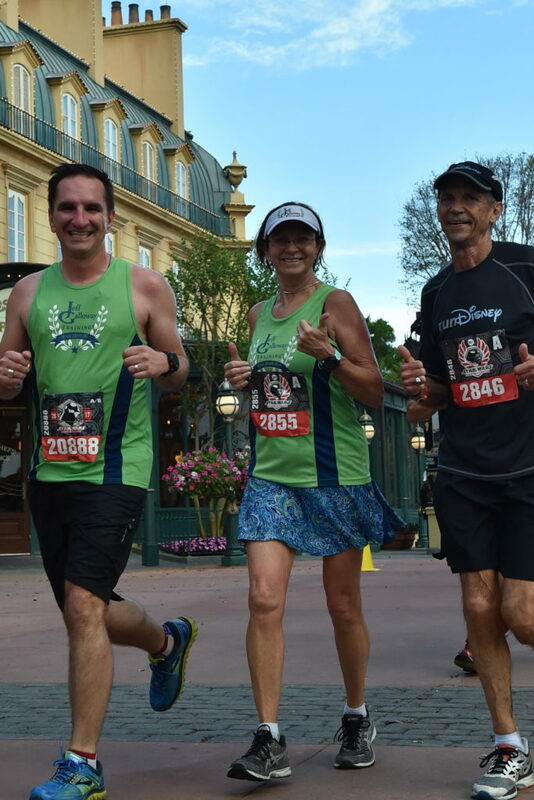 Kudos to Disney for having a ton of water stops out there on the hot course. You didn’t go very far without a chance to refuel. We had unofficial roles in our run. 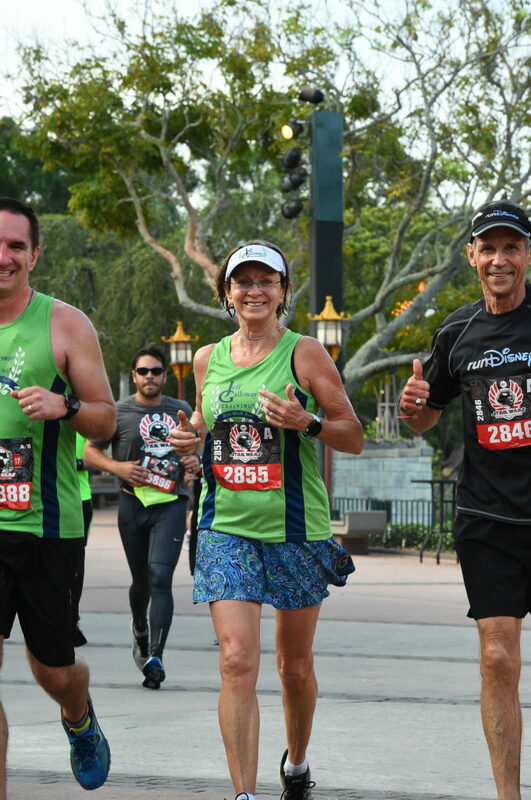 Jeff kept up with our intervals, Barb set our speed and I was the lookout for the photopass people. It worked beautifully once we hit the second park. We remembered from previous races and seeing the photographers today that it was going to be tough getting a picture with all three of us in it. I can’t totally blame the photographers. 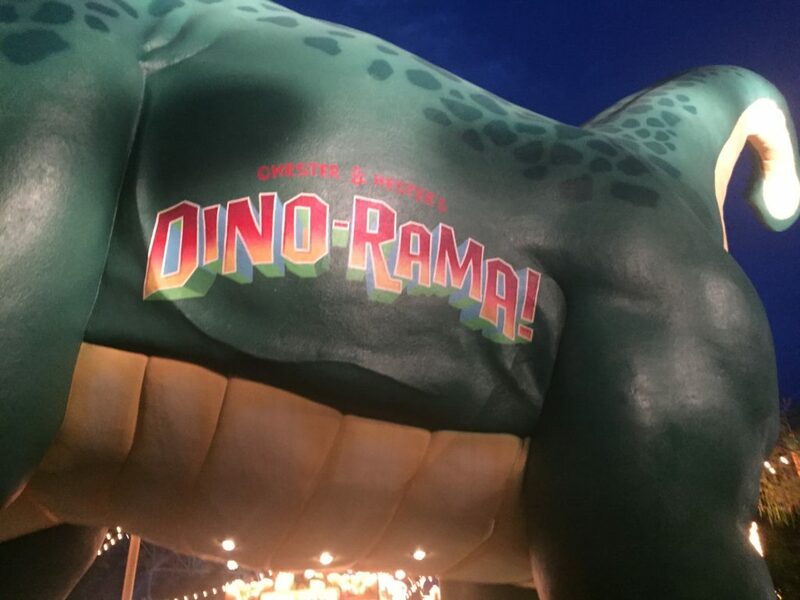 Imagine yourself in a little green tent looking through a view finder for three hours as thousands of people run right at you. You are just going to shoot as many pictures as you can get and it would be hard to discern who was with who unless it was blatantly obvious. We started trying to make it obvious. We talked about locking arms at one point to make sure we got at least one photo of us together! We really do have a a great time when we run together. 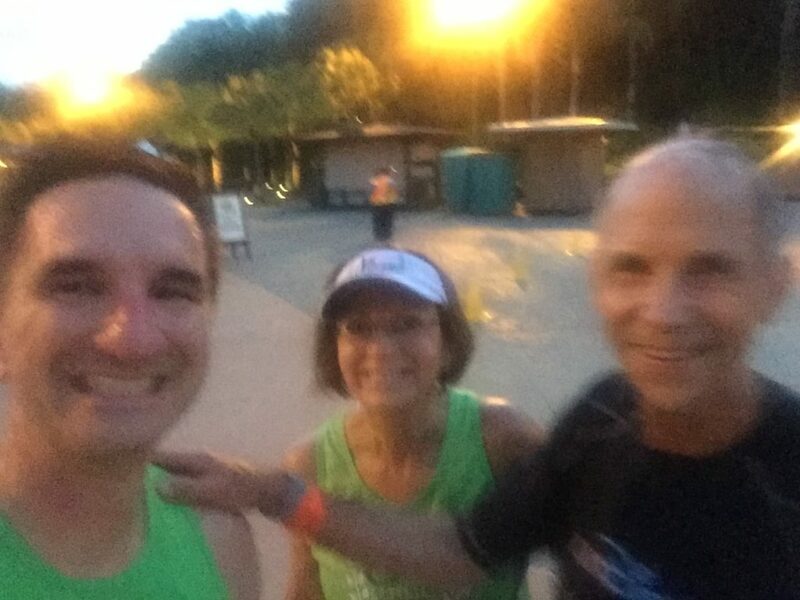 We laugh, joke, I get to hear so many crazy and funny stories about the Galloway’s past running adventures, and I’ll usually be the hype man when we are going through a group of people cheering. We also have a great time cheering on those on the course. Speaking of cheering, we had hit the boardwalk. It’s the golden standard in my team’s cheer group. I think the bakery and ample seating here might have something to do with it! We stopped and snagged a picture with both groups together. I absolutely love this picture. It represents so many friendships that I hold very dear. The coolest part? 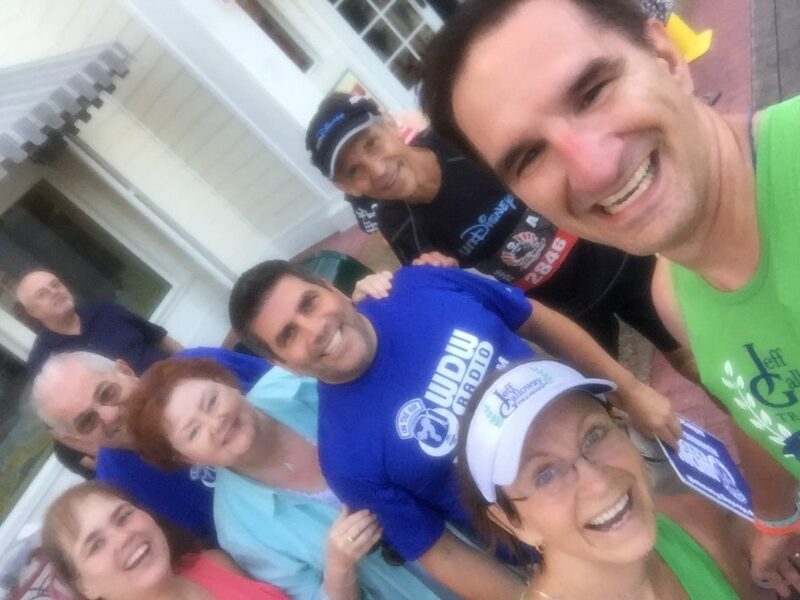 I didn’t know any of these people before running with Disney. It really does bring people together. We made the turn in to Epcot and several cast members from the different countries were out cheering. It was so fun to see them out! There were also photographers galore, so we squeezed and hit as many pockets as we could. It wasn’t long before we were crossing the finish line. 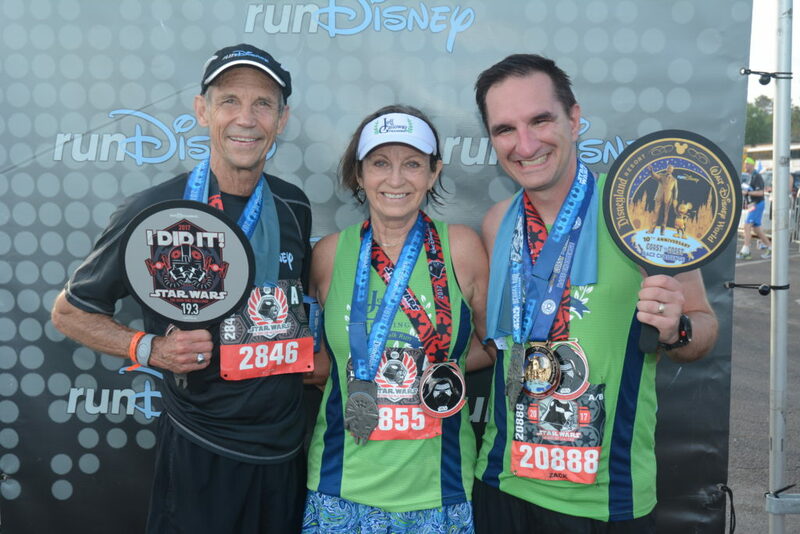 It was another great race that went by quick because of the company I was honored to run with. I love the picture below. It was another bittersweet moment. Since I’m not doing any other West Coast Races this year, the next time we will connect on the course will be their race weekend back home in Atlanta. The course was much better this year over last year. Bummed I missed Carissa both races. To the little boy who smoked us at mile 9…you are awesome sir. To the very hairy man in only a speedo. I salute your bravery. 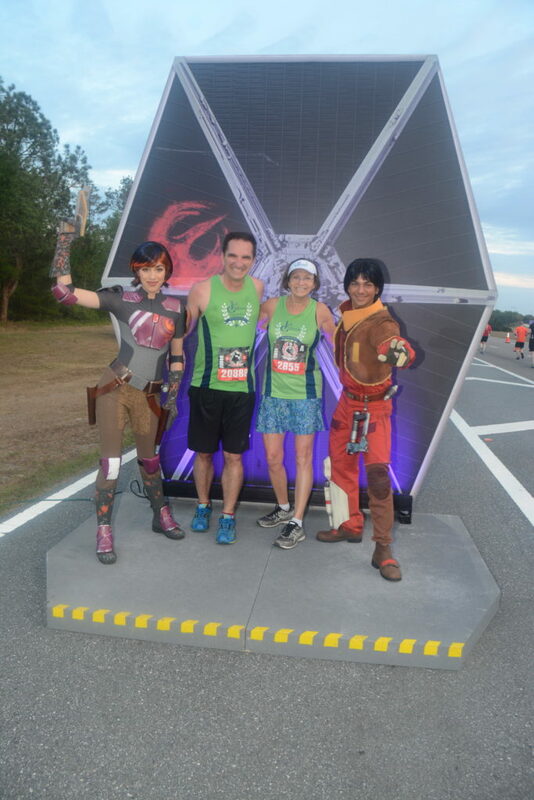 A runner told me afterwards that they were disappointed about the lack of character changes between races. I was disappointed last year as well because I was expecting more. Here are the races that rarely change out or add additional characters over the weekend. See you out on the course.